He is - perhaps was - a designated terrorist for some and an uncompromising freedom fighter for some. For the rest he was somewhere in between. 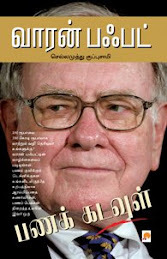 Yes, I am talking about V. Prabhakaran, leader of the LTTE. The story of his prolonged resistance and fierce confrontation with the Sri Lanka armed forces, nonetheless, ought to be studied, rather historically. Similarly, Indian involvement in the ethinic conflict and its consequences warrant a special mention. I have made a sincere attempt to view these things objectively and retrospectively through the book 'Prabhakaran - The Story of his struggle for Eelam', in English. 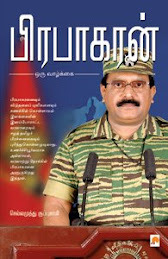 Though this is the English version of his biography 'Prabhakaran - A life' (பிரபாகரன் - ஒரு வாழ்க்கை) authored by me in Tamil, English version contains more information relevant to non-Tamil speaking people in India and international community. It can be bought online and read as a Kindle book.